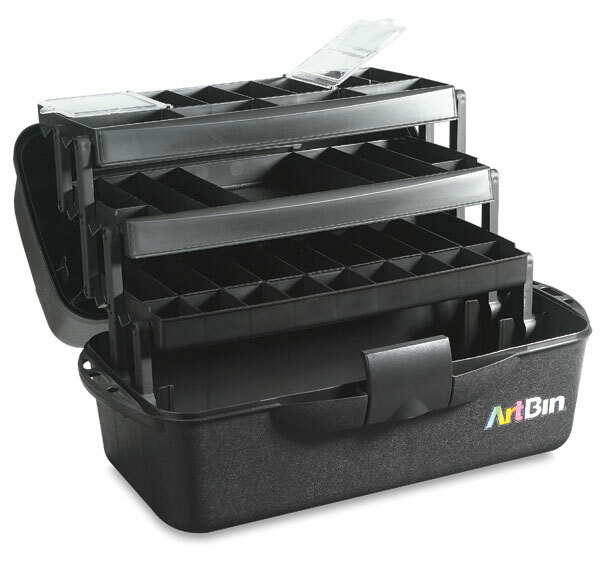 This large box gives you three foldout "Tip-Guard" trays for plenty of storage without spills. Use the easily rearranged, removable dividers to create between 20 and 41 compartments to store and transport materials of different shapes and sizes. This extra-large box is classic black, with a see-through, reach-in section on the lid. 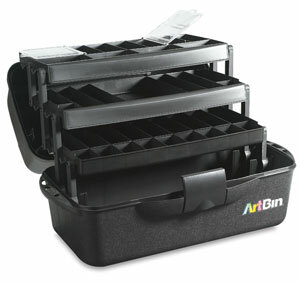 Its compact design features ArtBin's original cantilever arm design. Includes tongue-in-groove construction and "Tip-Guard" trays. Measures 20" × 10-1/4" × 10-1/2".